General Info: Paper Wasps are not aggressive by nature, but they will sting if they are disturbed or if they feel threatened. Their name comes from the water-resistant, paper-like nests they build from a mixture of plant fibers and saliva. Residential Location: Comb nests are hung from twigs, branches, shrubs, windows, door frames, outdoor grills, eaves, deck floor joists, and more. Random/Interesting Fact: Paper wasps have facial recognition abilities comparable to humans and chimps. They know the faces of colony members just as we know the faces of friends and acquaintances! 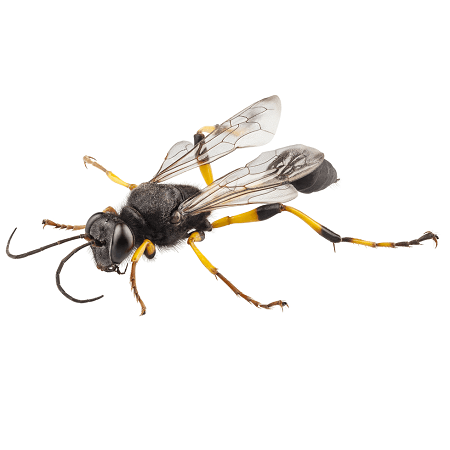 Identification: Paper Wasps are brownish with yellow and sometimes red markings. They are long-legged and the hind wing is usually small. 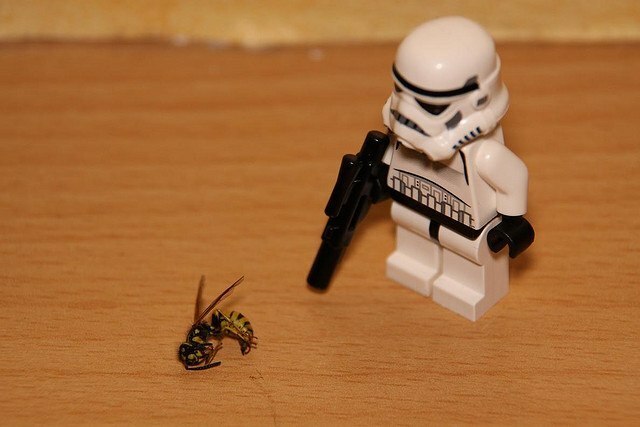 General Info: Hornets are the largest type of wasps. They construct paper-like nests similar to other wasps, but they cover each layer of the nest so that it is completely enclosed except for one entry hole. 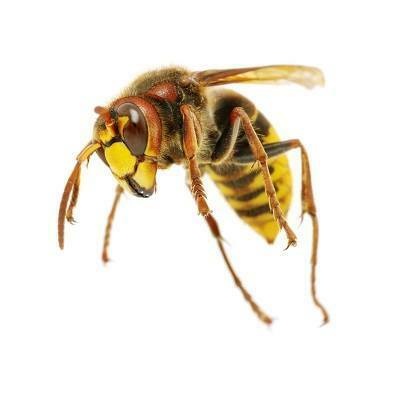 Hornets have a more painful sting than wasps, but a single sting is only fatal to allergic victims. 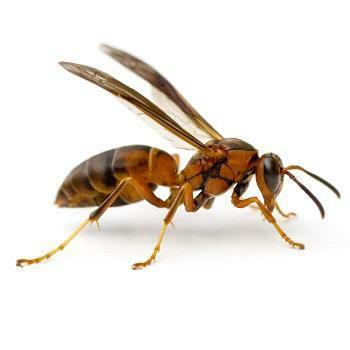 Residential Location: They are found in a variety of areas similar to those of paper wasps. Random/Interesting Fact: When hornets sting or are threatened, they emit a pheromone that can mobilize the rest of the colony to attack or defend. Identification: These are much bigger than normal wasps. Patterns are black and white, or brown and yellow. General Info: Thankfully, mud daubers are not dangerous to humans; they are simply nusiance pests. Mud daubers are solitary wasps. They are not social and do not live in colonies. Mud daubers provision spiders for their larvae by paralyzing them with their venom and bringing them into their nests. Residential Location: They usually build their nests in a sheltered site. These sites include under eaves, porch ceilings, in garages and sheds left open, in barns, and attics. Nests are short, mud tubes that are constructed side by side. Random/Interesting Fact: Other wasps and some spiders will lay eggs in a dauber’s nest. Identification: You can easily identify a mud dauber based on the large distance between the abdomen and the midsection. They are usually black. They may have pale markings or a metallic luster. General Info: These are just a nuisance. You will most likely see them in your kitchen, especially flying around fruits and vegetables. There are many simple fixes to fruit flies. Learn more about the best fruit fly traps. Residential Location: They can be found anywhere food is produced or kept. 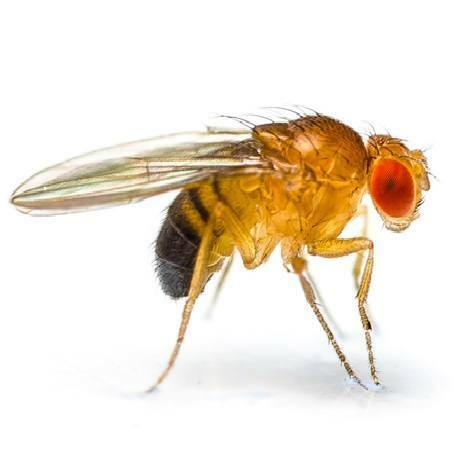 Random/Interesting Fact: Fruit flies feed on decaying matter. An example is fruit that has been left out for a few days. Identification: They have a tan/light abdoman. 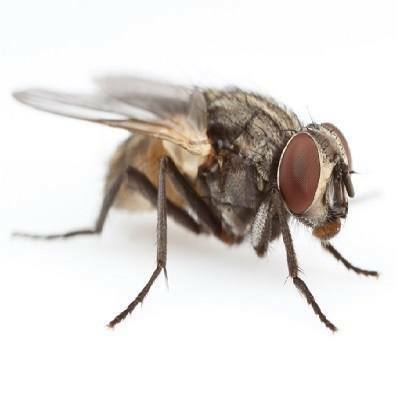 General Info: It gets its name from being the most common fly found in homes. They usually live between 15 and 25 days. Indoors, they rest on floors, walls and ceilings. Night resting places are close to food sources. Residential Location: Found around trash cans, rotten foods, and pet waste. Random/Interesting Fact: They are only able to feed on liquids, but they have the ability to turn many solid foods into a liquid form to eat. Identification: They are dark gray and have a small, oval-shaped abdomen. Insight Pest Solutions DOES NOT kill Honey Bees. In select markets, we have equipment to safely relocate colonies to local bee-keepers so they can continue their beneficial work. 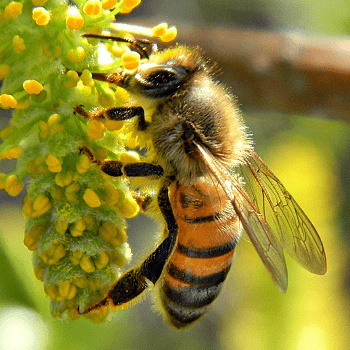 General Info: Honey bee colonies are the only bee colonies that can survive to last many years. They are benefical to other animals and plants because of their role in pollination. This includes humans. They are very social instects. There are divided into three groups: the workers (female), the queen, and the drones (male). Residential Location: Nests can be found in tree crevices and sometimes in attics and chimneys. Random/Interesting Fact: In order for a new queen to become fertile, they eat a special diet of “royal jelly”. Identification: They are predominantly golden-yellow and with brown bands. General Info: These are commonly mistaken as bumblebees. 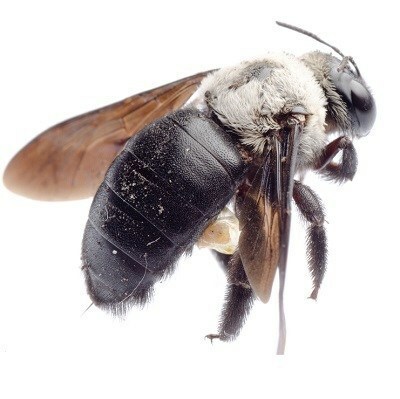 Carpenter Bees are solitary bees that burrow into wood for their nests. They perfer wood that is at least 2 inches thick and not painted. There are seven species found in the United States. Adult bees hibernate over the winter and emerge in the spring to feed on nectar. Use a thick coat of paint or sealant to make carpenter bees less likely to destroy the wood on your property. Residential Location: Usually can be found borrowing into any wood around the outside of a house. Random/Interesting Fact: Carpenter bees actually don’t eat wood. They just excavate it to form their rests. Identification: They are yellow or black, and are oval and robust in shape.